another fun evening, another event i couldn't make. can i get a clone, please? needless to say, i put it up for a vote and tyler won. by the looks of it she scored the triple crown... the ball, the arm candy, sorry chris but it's true, and the gown. didn't have to say "you go girl". she went and she conquered! 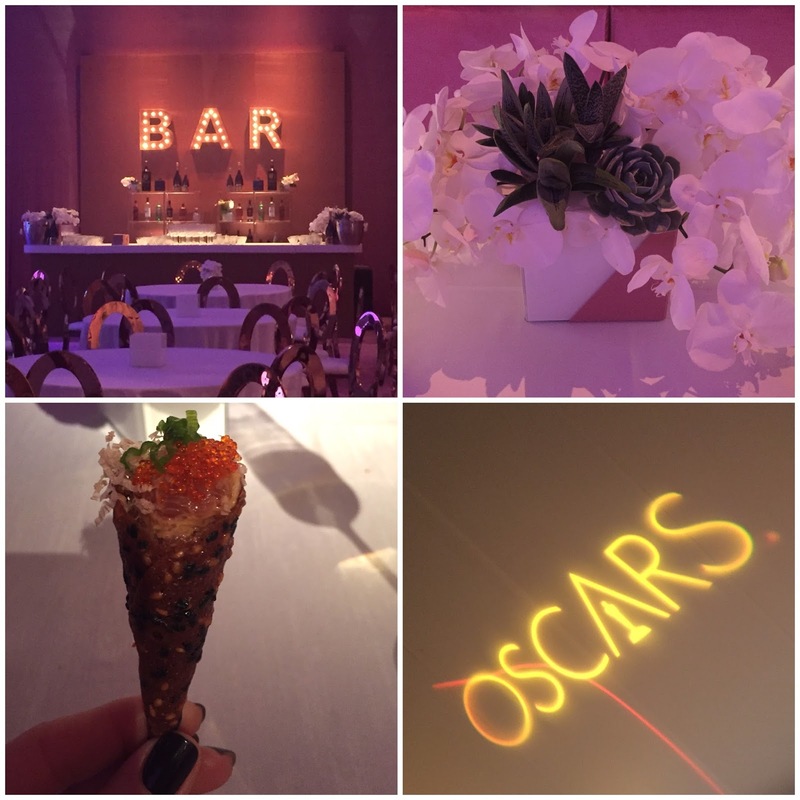 for the past three years, kai has been honored to land the role of providing the amenities in the powder rooms for The Governors Ball, the official after-party of the Oscars®. 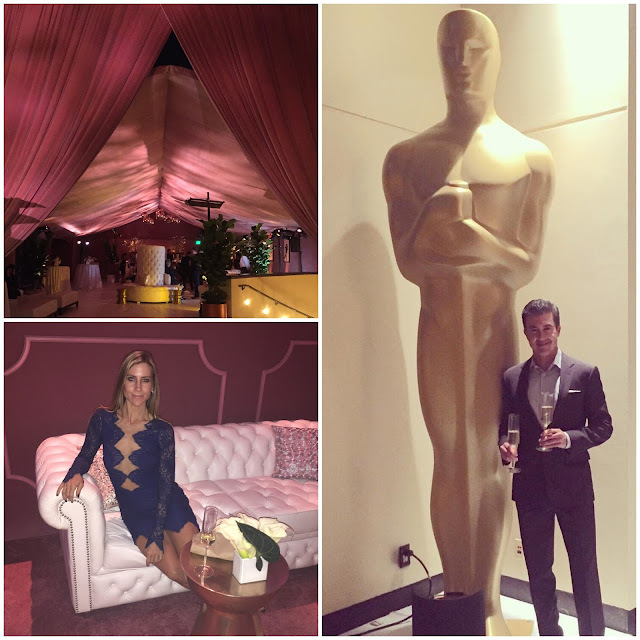 this year, i had the pleasure to attend the night-before preview of The Governors Ball for the 88th Academy Awards on behalf of our kai team. 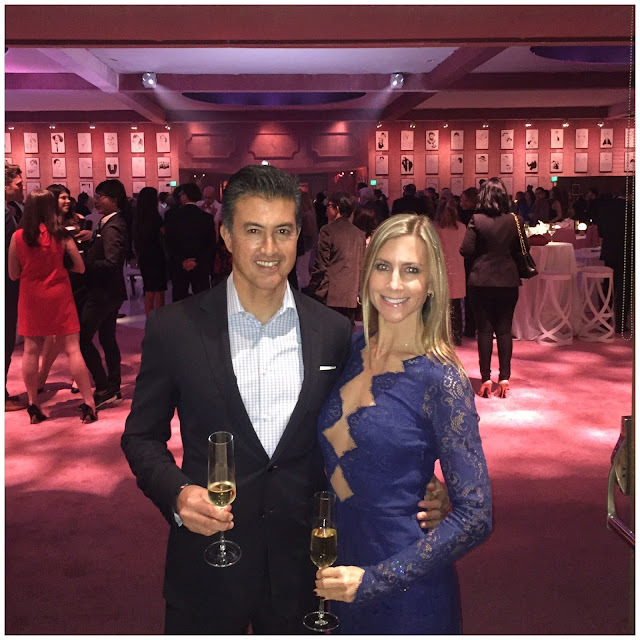 with my handsome date (looking like quite the movie star) on one hand and a glass of champagne in the other, we oohed and aahed at the exquisitely done ballroom washed in subtle shades of blush, copper and white -- even the ceiling is transformed! lush arrangements of white ranunculus, orchids, succulents and gardenias (kai's favorite, of course) dressed each table. the coolest part? 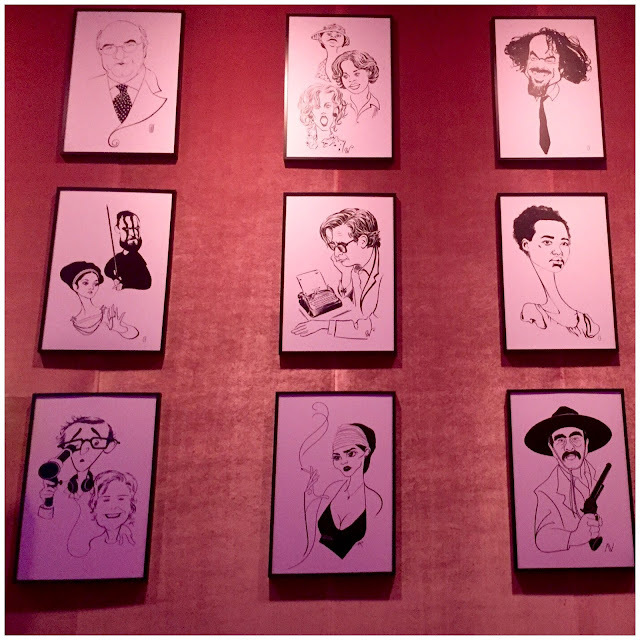 with this year's theme of "the arts" over 170 newly commissioned black & white drawings spotlighting filmmaking luminaries past and present lined the walls. chris and i had an ongoing game of guessing who was who first! finally, and notably, the food... a passed array of Wolfgang Puck delights. (my favorite: the ahi in a delightful little cone. a perfect bite! ).